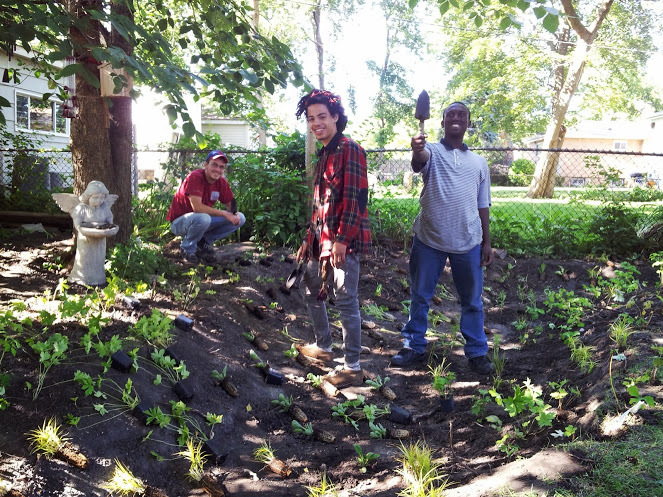 Since 2011, we have been incubating Rogers Park’s first youth-led worker-owned cooperative business, Grassroots Ecology. The enterprise is intended to address issues of youth unemployment and inequitable access to existing jobs by creating work opportunities that are democratically owned and operated by young workers themselves. Because we are starting a cooperative, this means that the youth involved will be directly responsible for running the business and will also receive the benefits of ownership (e.g. profit sharing and decision-making power). Once in business, the company will bring sustainable landscaping and storm-water management services to clients in Rogers Park, the north side, and near suburbs while creating dignified, sustainable, and democratic jobs for young people between the ages of 16 and 28. We aren’t waiting for the jobs of the future to emerge. We’re creating them right now. For more information about worker cooperatives, please visit the U.S. Federation of Worker Cooperatives website. For any inquiries pertaining to this project, please contact Peter Hoy at petermhoy@gmail.com.